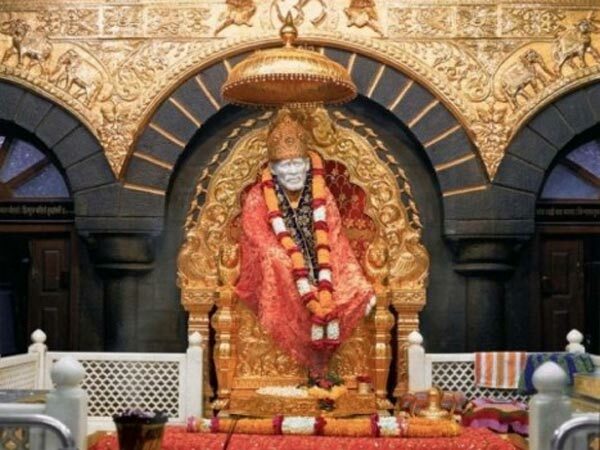 »Mumbai To Shirdi – A Trip To Sai Baba’s Den! Mumbai To Shirdi – A Trip To Sai Baba’s Den! Located in the Ahmednagar district of Maharashtra, the small town named Shirdi is a sign of simplicity, harmony, and spirituality. Shirdi and Sai Baba go hand in hand. Every occasion, festival or event happening here is revolved around Sai Baba. This is the place where Baba lived and spent most of his life in serving humanity and finally gave up on his last breath here. His commendable efforts brought the Hindu and Muslim communities together and ensured that they could live in harmony even today! Having a footfall of millions of tourists every year, Shirdi has an unparalleled devotional aura that has made people walk from Mumbai to Shirdi since ages. The tradition is alive even today. This belief amongst people inspires a lot of devotees to visit Baba's shrine to seek his blessings. Shirdi comes to life during three main festivals - Ramnavami, Gurupurnima and Vijayadashmi. The charm and aura of the devotees and the shrine's decoration is definitely worth seeing during these times. If you want to enjoy sightseeing as well, then winter is the best time. Monsoons make the environment merrier, lighter and brighter. The temperature at night usually falls down, making it pleasant and cozy all over! Summers are the best if you want to avoid long darshan queues and have your time at the temple with peace! Thursdays are filled with Sai Baba followers. Mobile phones and cameras are not allowed in the temple premises. Alert your mind, since you will find many people who will claim money stating that they are descendants of Sai Baba. How To Get To Shirdi? Route 1 is recommended. Opting for Route 1 will make you reach your destination in roughly 4 hours and 30 minutes. Route 2 and Route 3 will take approximately 6 hours. Pack your bags. Leave with an empty stomach. Start early. About 25 km from Mumbai, gorge on some famous spicy misal pav at Mamledar Misal at Thane. This typical Maharashtrian cuisine is worth relishing. Popularly known as City of Lakes amongst its residents, Thane boasts of having around 33 lakes within the city. Don't miss a visit to the Upvan Lake to witness nature's marvel! Shahapur stands about 53 km from Thane. Manas Mandir is a magnificent Jain temple which will leave you spellbound. It is the most visited Jain temple in this area. Shahapur is a host to a lot of day picnics and homestays. About 50 km from Shahapur, lies the peaceful and undisturbed destination of Igatpuri. If you have enough time in hand and are an adventure junkie then don't skip the Kalsubai trek. For those of you who come in search of soothing atmosphere, a visit to the Dhamma Giri Meditation Centre (Vipassana Centre) will calm your mind and soul! Lunch in Igatpuri will give you a flavour of typical Maharashtrian delicacy. After lunch, drive through about 62 km to reach Sinnar. The marvelous Khajuraho style Gondeshwar Temple is sure to leave you pleasantly surprised with its enchanting beauty. If old temples and history are your thing, then you are sure to love the place! Gargoti Mineral Museum is a must see to witness the distinct styles of gems and rocks. In about an hour, 60 km drive, from Sinnar, you will reach the miraculous destination and Sai Baba's abode viz. Shirdi. The nearest railway station to Shirdi is Sainagar Shirdi station. The fare ranges between Rs 245 and Rs 900 depending on your choice of coach. There are many trains that pass via Mumbai. The holy shrine of Sai Baba is at a distance of about 5 km from Sainagar Shirdi railway atation. Regular buses are run by the Shri Sai Baba Sansthan Trust authorities between the railway station and the Holy Sai Baba Temple. This service is provided free of cost. There are trains halting at Kopargaon and Manmad in case you are not able to get seats in the other trains reaching Sainagar Shirdi station. These are also the nearest to Shirdi. Kopargaon is about 15 km and Manmad is 60 km away. You can also hire a cab to reach Shirdi. Buses from Dadar run almost every hour. Buses also run from Mumbai Central, Thane, Dombivli, Kalyan, Uran, Borivali, Panvel and Palghar. The scenic views during monsoons will enthrall your mind and soul with happiness. The ticket prices range between Rs 170 and Rs 250. On Thursdays, Shirdi will see lot of Sai Baba believers flocking the temple. A palkhi followed by a procession is taken out on this day and on special occasions. It is believed that the last remains of Sai Baba dwell here and people come in heaps to have a glimpse of his mortal remains. The museum offers interesting displays of Sai Baba's personal belongings like robes, pipe, water tumblers, gramophone records, utensils, pipes and footwear. Few black and white pictures are put up with his disciples. Sai Baba led a very simple life. The museum clearly depicts that. Located at a walking distance from the Sai Baba Temple complex of Shirdi, Gurusthan is believed to be the first place where Sai Baba resided after coming to Shirdi. Baba believed that the tomb of his Guru is situated by the Neem Tree. Dedicated to Lord Shiva, the Khandoba Temple is one of the oldest temples of Shirdi. This is the place from where Baba had first been addressed as ‘Sai' by a priest.